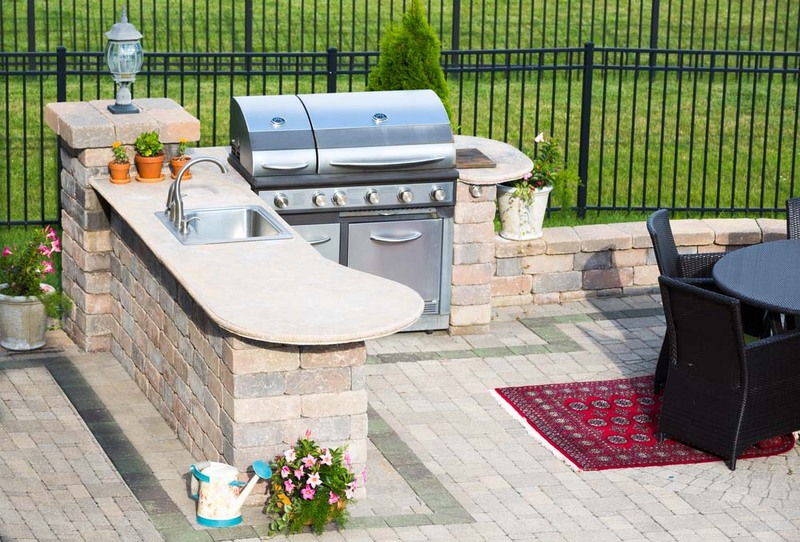 We've compiled some fresh design ideas and information on Outdoor Kitchens For Your Patio to inspire you to build one in your home. 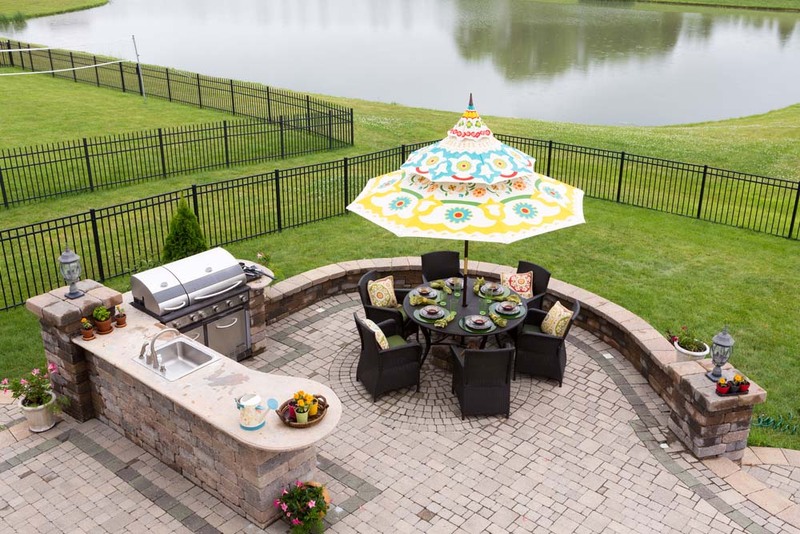 One of the greatest opportunities granted by having a nice large patio is having the space to mount many of the luxuries of the indoors in the wide-open world of your backyard. One of the greatest luxuries normally kept inside is the venerable kitchen. This room is often the center of a household, even more than the living room. 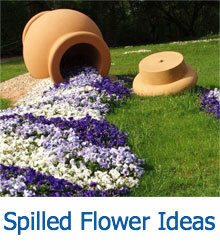 It’s the place where people gather, where food is prepared and enjoyed, and where utility mixes most with social functions. 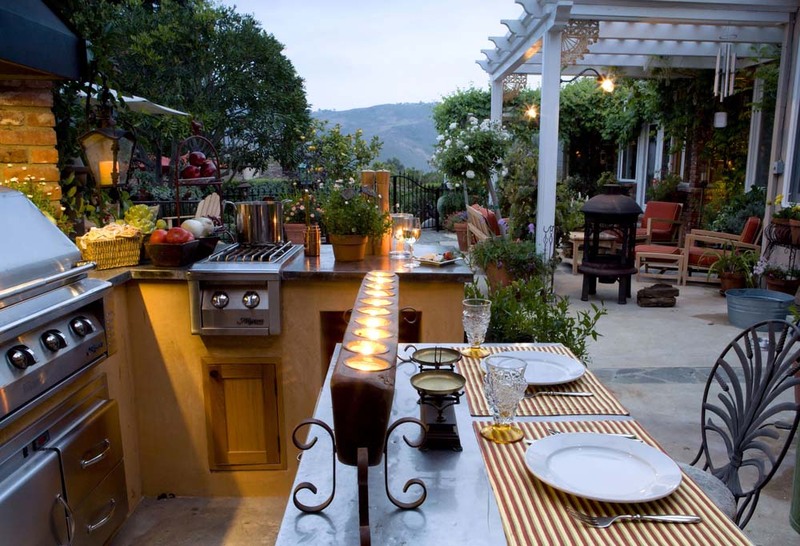 When the kitchen is brought outdoors, all of these aspects are amplified by the close communion with nature. 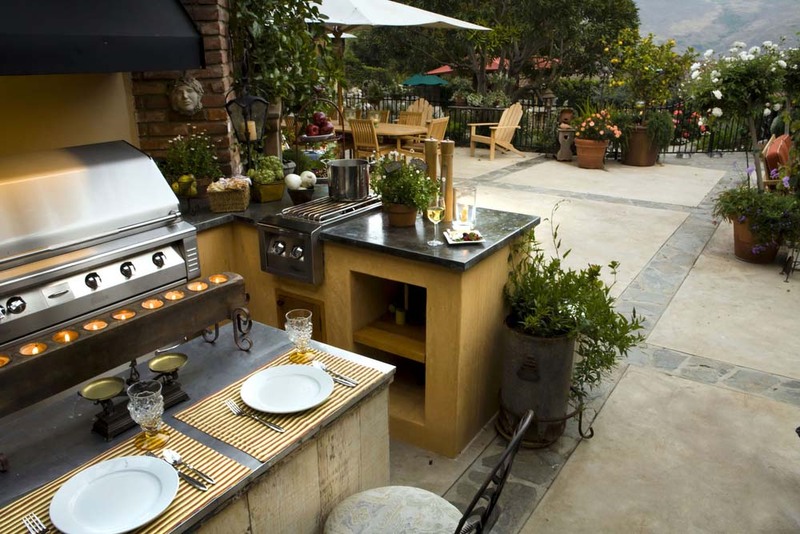 An outdoor kitchen, in other words, retains its traditional functions while adding an extra layer of sociability. The cooks can interact with friends and family as they relax nearby or out in the yard, swimming pool, or elsewhere outdoors. Being able to seat and serve loved ones beneath the open sky is a pleasure that everyone should be able to enjoy. We decided to seek out some prime images of outdoor kitchens and came back with a solid handful of beautiful examples. These kitchens range in style and scope from simple grill-centered setups to elaborate countertop creations with every amenity expected of an indoor kitchen. 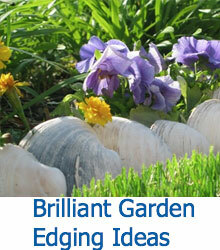 We hope the fresh designs and surprising features have inspired you as much as they’ve inspired us! This outdoor kitchen stands as the pinnacle of a sprawling patio, including numerous planters, a full dining table set, sets of adirondack chairs, and a wrought iron fence wrapping the entire space. Sleek black countertops contrast with light wood cabinetry, offering abundant storage, cook space, and all the elements needed to prepare a feast. 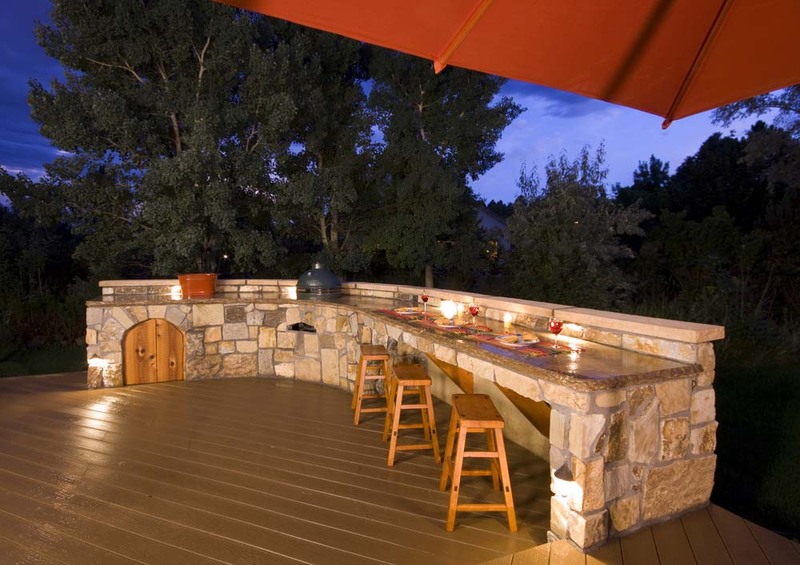 Here’s a lower level, close up view of the prior patio kitchen. The dark countertops and light wood create a contrast that stands apart from an already thoroughly populated patio space. 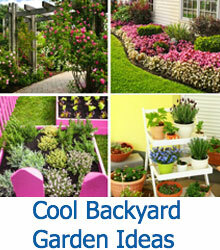 The mixture of container gardens, relaxation furniture, and decorative elements make for a bespoke entertaining space. This partially sheltered patio holds a full featured kitchen that hugs up against the house. Red brick, natural wood, and granite countertops mix for a timeless, utilitarian look, sporting stainless steel appliances in a burst of modernity. The countertops feature abundant space for barstool dining, while a large wood fireplace hangs to the left, affording warmth and light at night time. Standing on the edge of a large, raised patio deck, this elegant kitchen setup exists as a unified piece, a lengthy curved countertop incorporating dining space, cooktop, and storage. Rich stone construction and granite countertop ensures a solid appearance and durability, while a set of barstools provides seating for diners. Returning to the outdoor patio kitchen featured at the top of this page, we see a luxurious brick construction, from patio floor on up, holding stone countertops. The countertops are built around a large modern grill, with built-in sink and a singular beacon light. Black wicker dining set stands at right. 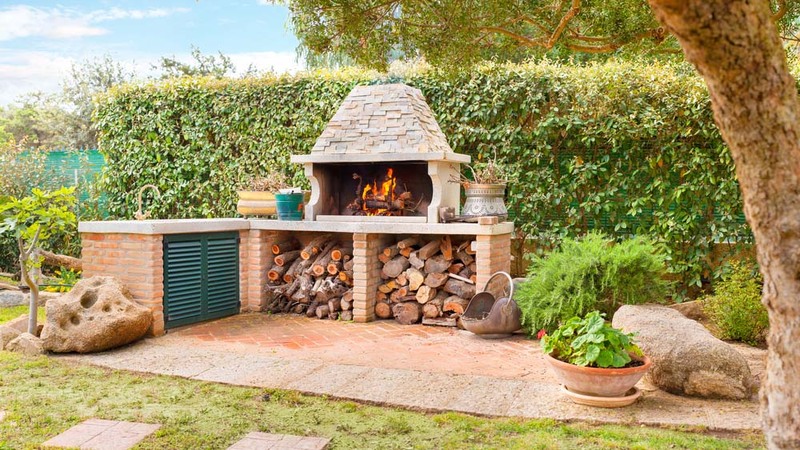 This slim patio setup stretches the definition of a kitchen in the best and most rustic way possible: a large wood fired stove sits atop the L-shaped stone countertop across from a full size sink, with abundant firewood storage below. This handsome creation stands in red brick, framed against the wall of shrubbery providing privacy for the backyard. 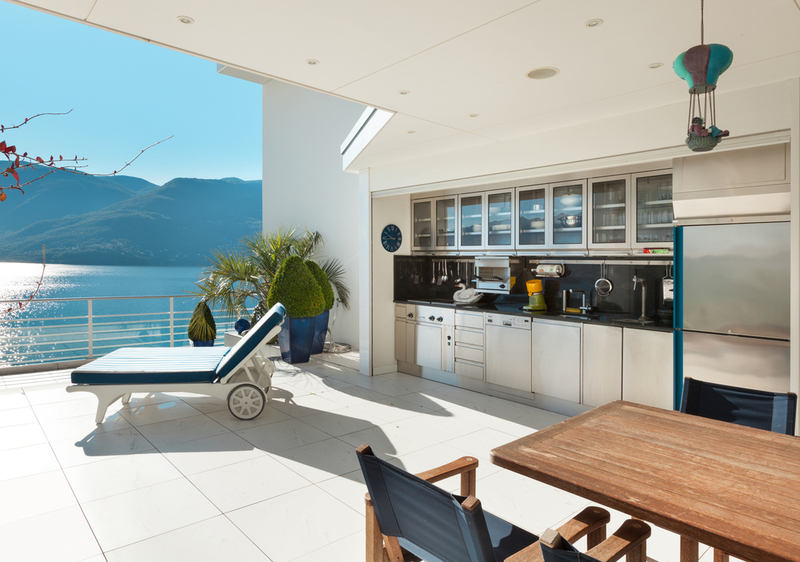 Nestled against this white ultra-modern seaside home, this patio kitchen is more fully equipped than most of its indoor brethren. Sleek stainless steel cabinetry and every necessary appliance add up to a fully featured space that allows for endless entertaining. A rustic wood dining table stands in contrast, while a chaise lounge sits nearby in full view of the adjacent lake. This large sheltered patio includes a sleek natural wood countertop and cabinetry set, next to a stainless steel workspace, offering the convenience of kitchen plumbing and utility outdoors. 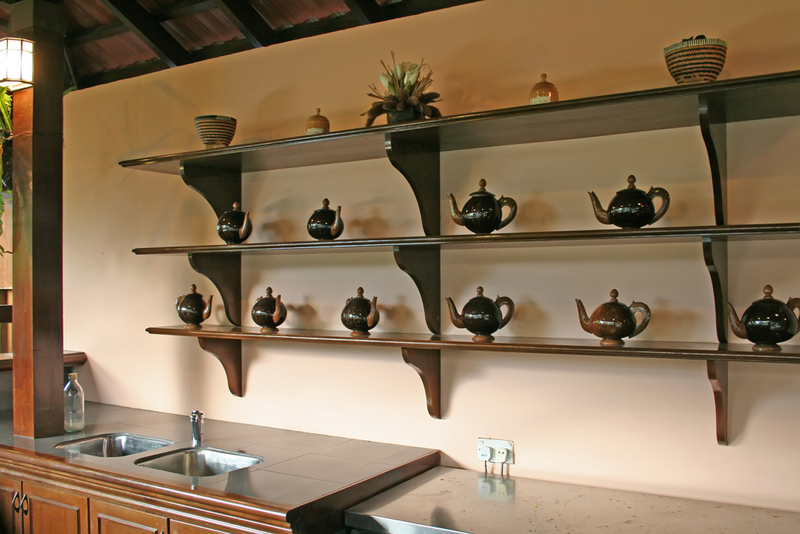 A lengthy set of rich wood shelving adorns the wall, housing tea pot sculptures. 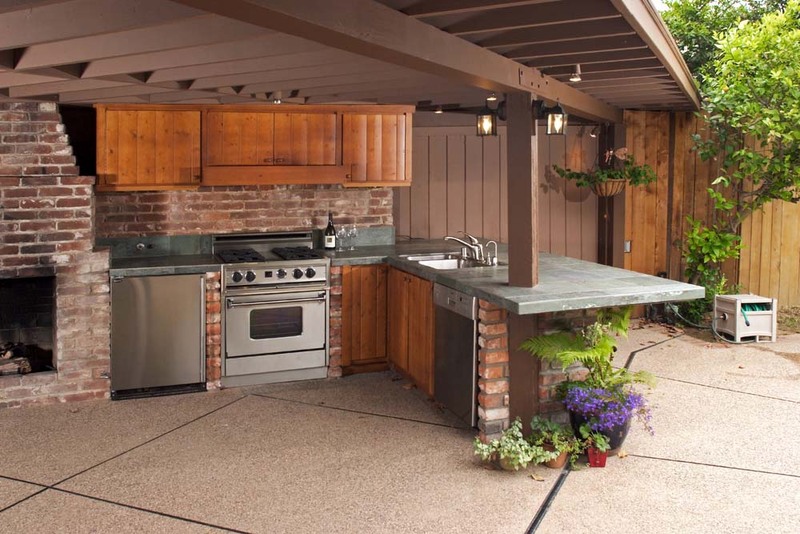 Here’s an ultra-luxurious example of an outdoor kitchen. Within a sprawling, marble-wrapped sheltered patio, a lengthy curved marble countertop holds stainless steel storage, sink, and built-in wine cooler. With a raised level, the countertop provides dining space for a set of surrounding chairs, while a full dining set stands at right between large columns. The space expands all the way toward an outdoor fireplace and mounted television at the far end. 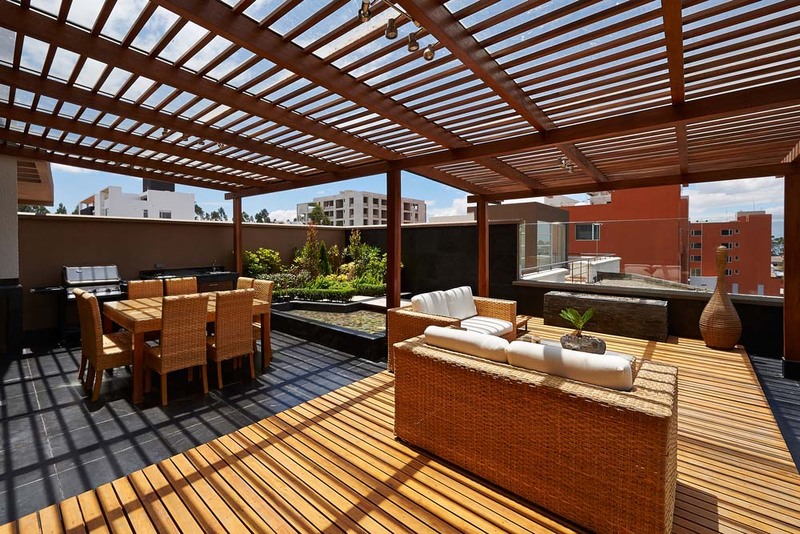 This expansive rooftop patio sports multiple segments for relaxing, dining, gardening, and cooking. The kitchen functions all stand in a shaded corner to the right, replete with large countertop and sink space. The wicker furniture complements the light wood planks covering the black tile flooring down the length of the space.